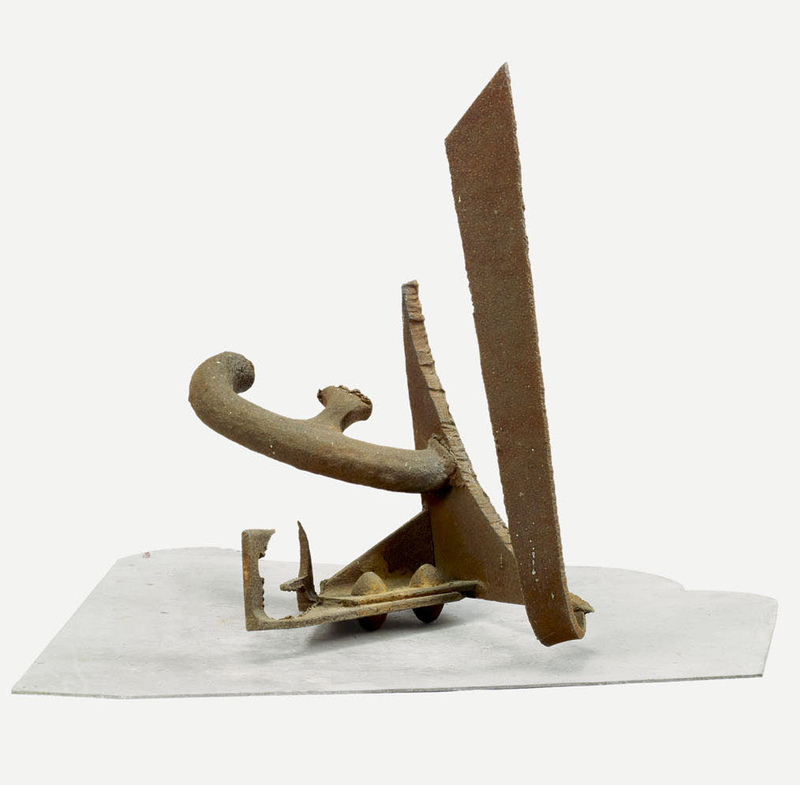 The smaller welded-steel sculptures that Mark di Suvero created in the 1960s, using mainly found materials, greatly influenced the larger, site-specific, and participatory sculptural installations that he has come to be known for. In 1966 di Suvero built the Artists' Tower of Protest, an antiwar sculpture for which many artists donated work, among them Melvin Edwards, Betye Saar, and Charles White. Di Suvero lived and worked in Los Angeles during the time that John Outterbridge was creating the Containment Series sculptures, and he lent Outterbridge the power tools to complete them. "Untitled." Now Dig This! Art in Black Los Angeles, 1960–1980 Digital Archive. Los Angeles: Hammer Museum, 2016. https://hammer.ucla.edu/now-dig-this/art/untitled-di-suvero.